It seems doors are all the rage lately on blogs. 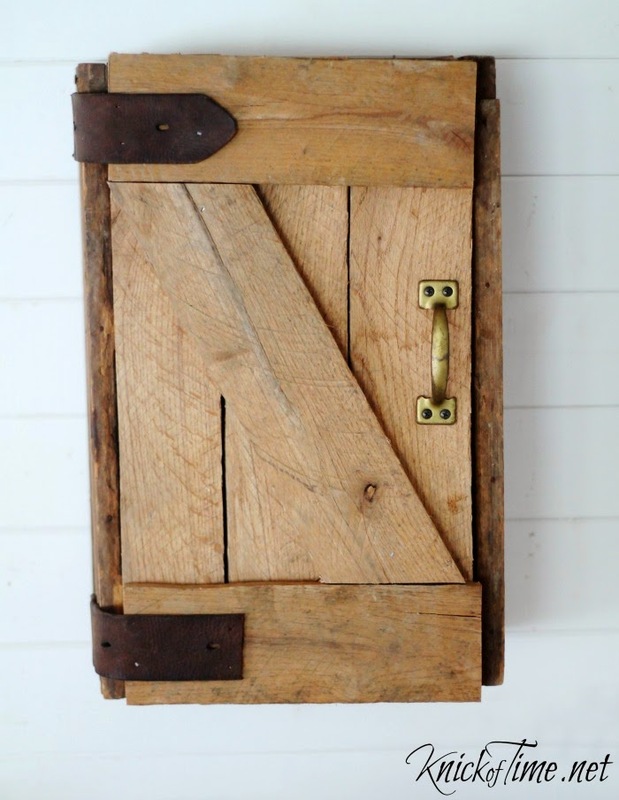 Last week Donna at Funky Junk Interiors shared this wacky door, and I love it! 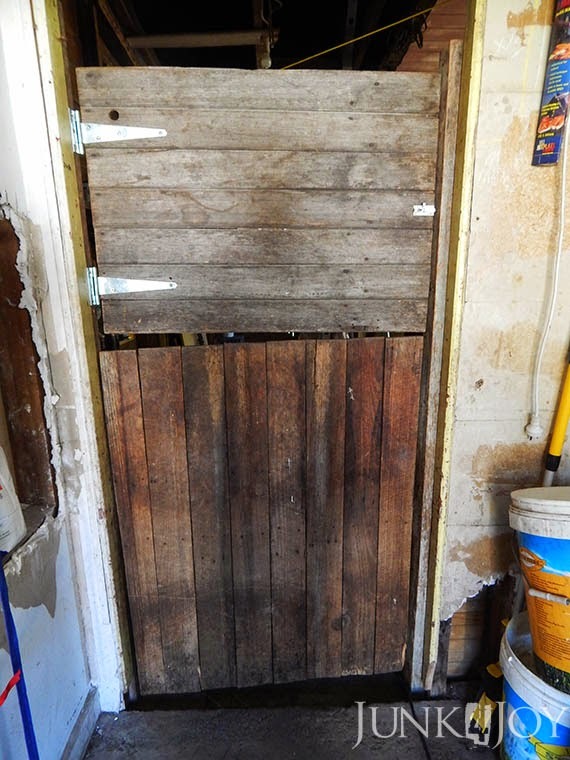 Before I knew doors were going to be the trend I made my own shed door in the casita. Up till now we’d had a half door, bottom only obviously (top only would have been plain stupid!) between the casita entry and workshop. Since I sometimes put the poodles in there when grooming customers arrive and leave, I needed to close them in better. I used to leave them in the house, but with open windows in summer I’m afraid they’ll knock out a flyscreen or three. I won’t let them meet and greet cause they’re very protective and won’t let people into the yard unless I’m there to let them in. So I decided to keep them in my workshop. The theory behind the top door was less vision = less barking. Turns out it doesn’t work quite that way, but hey, we now have a more gap filling door than we had before! You’ll notice the crooked gap between the two doors (I blame the door frame, it must be crooked)… the way the timber runs in different directions… the holes in the plaster where the poodles tried their paws at remodelling… Its all part of the charm. I didn’t actually MAKE this door from scratch. 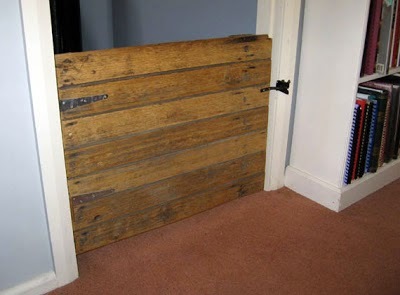 I used a door from an old chicken coop I’d demolished when I bought my house in Fentonbury. Since then I’d used this door and its matching partner as ‘keep the dog out of the bedroom’ gates in Fentonbury and here. 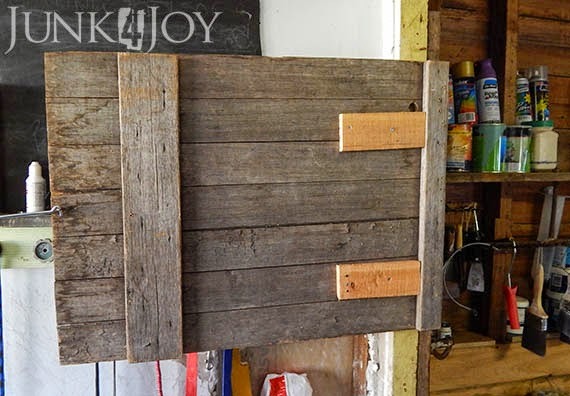 So, I basically adapted what I had to create the top part of a door for the casita. 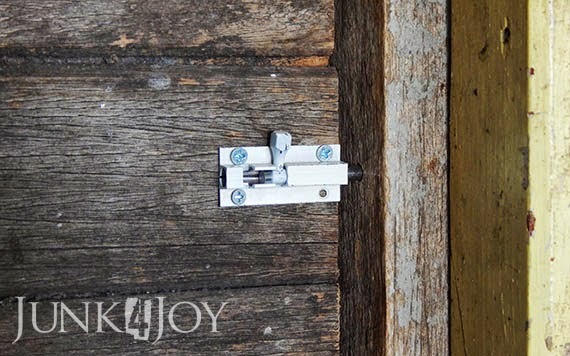 Since the door is heavy, I needed some T hinges which I had to buy. I didn’t have any the right size. I then had to cut a couple of pieces of timber so that the hinges had something to actually attach to. The door timber isn’t that thick. I kinda like my added bits. They’re sort of like the patchwork of Donna’s door, just not as neat or charmingly random as hers. 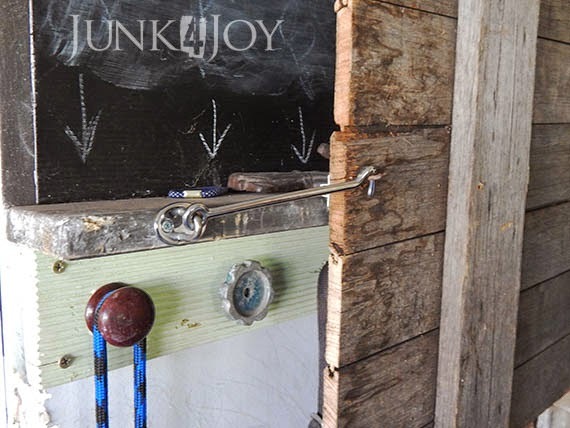 I used a hook latch to secure the upper door to the chalkboard dog lead organiser. Since the top door has to swing opposite to the lower door (long story having to do with light switches around corners), I have to keep it open unless its in use to keep poodle eyes from seeing too much. Since the only time I need to access the lead organiser is when I’m grooming, and since the poodles are usually locked up at that time, its not a problem. 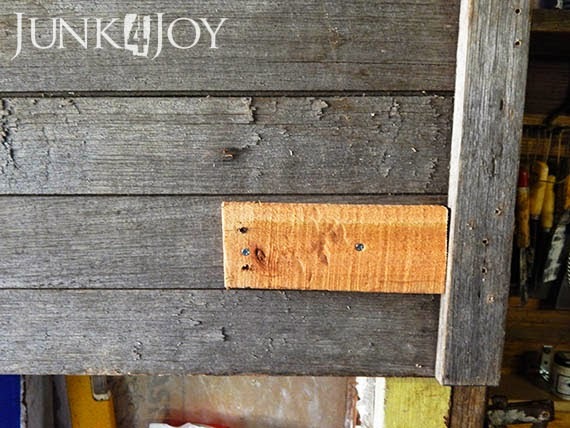 To keep it closed I used a tiny bolt I had in one of my collections and simply put a hole in the door jam. A bit wonky but I don’t mind. I can make a better door if I want. Just look at the door I made for the phone station. I just didn’t want to this time! 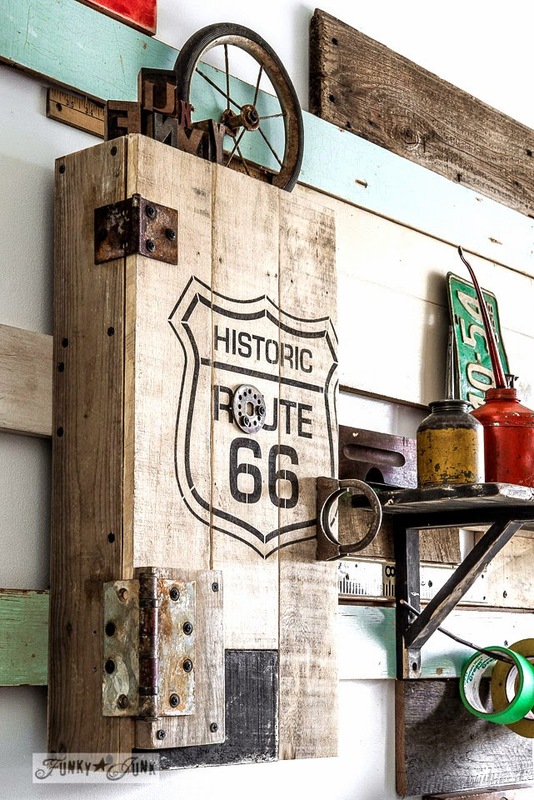 In fact, my next door project will be more like Donna’s or Angie’s if I can get the right balance between wacky and neat.